Timing, it's all about the timing. Tiger's golf swing; Rafael's backhand and MMG's new zinc mine. MMG has officially opened the new $1.4 billion Dugald River operation as zinc hovers around US$1.50/lb, the highest it has been for five years. First production of finished zinc concentrate left the mine, 65km north-west of Cloncurry, today. The milestone was celebrated during the official site opening attended by MMG chairman Guo Wenqing and chief executive officer Jerry Jiao (pictured below). Independent financial advisor Fat Prophets is saying the price should firm next year. Zinc has been at near-term record levels and analyst David Lennox said apart from a technical correction, they are expecting the run to last as long as 18 months. Production in 2016 was 11.2mt on usage of 11.1mt. The deficit blew out last year with an increase in demand year on year to August and a 400,000t tightening in supply. Even the new supply out of Dugald River and Thalanga in Queensland’s north west are not likely to have much affect in the short term, he said. “Those mines are likely to delay the inevitable but are unlikely to bring on enough tonnages to influence the deficit," Mr Lennox said. “To put that into perspective, the inventory five years ago ran at 1.5mt … in early 2016 the inventory dropped to 600,000t. That zinc inventory last read 250,000t, so it continues to fall. 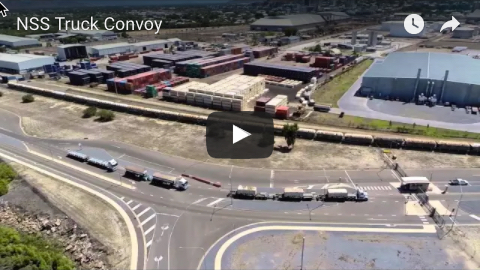 “That said, those operations have timed it well, giving themselves the opportunity to make the most of the higher price to get the operation bedded down. Glencore’s actions to restrict zinc production had largely forced the upwards movement in price said Mr Lennox, but re-opening operations including Lady Loretta and ramping up production at the George Fisher mine both north of Mount Isa were also unlikely to dilute the current enthusiasm. “Glencore took out more than 500,000t in late 2015 and (MMG’s) Century Mine closed in early 2016 taking out more than 320,000t,” he said. The zinc price bottomed out in early 20016 at $0.65 US/lb. Since then Mr Lennox said the price had ‘rattled up’ to $1.57 US/lb. He qualified his predictions saying a strengthening US dollar would have a downward affect on commodities prices. 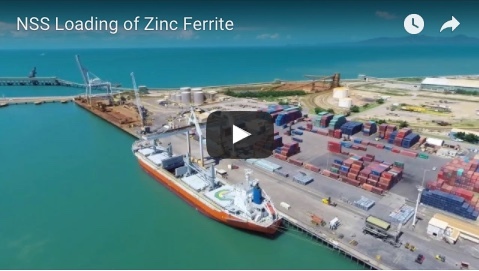 Northern Stevedoring Services, Wagners Transport, Aurizon and Toll Logistics have been engaged to transport zinc concentrate and related cargo on behalf of MMG.